Metrolinx is pushing forward with plans to boost GO train service to and from Barrie with a new bridge that is receiving resistance from some residents of Toronto. In order to provide more service along the Barrie line, the provincial transit agency says it needs to build a 1.5-kilometre segment of elevated tracks in the Davenport Road area to bypass a freight line running parallel to Dupont Street. "They dropped this on us with no deliberation, with no collaboration, they just said, this is what we're doing, what colour do you want it?" said Sam Barbieri, who formed Options for Davenport after hearing about the plan. Currently, 14 trains pass through the so-called Davenport Diamond each day, but the bridge would help elevate that number to 180 trips daily. Some commuters say the new infrastructure investment would help to improve service. "I just think it's really needed on the north — especially the Barrie line," said Alicia Joubert, a GO Transit user. But not everyone is happy to hear about the province's plans. Metrolinx says a tunnel through the Davenport Diamond would cost $600 million, which is about three times more than the bridge. (Metrolinx)Hundreds attended a public consultation this week to join the worried calls. Barbieri said he ponders issues related to safety, noise and a lack of communication from Metrolinx. 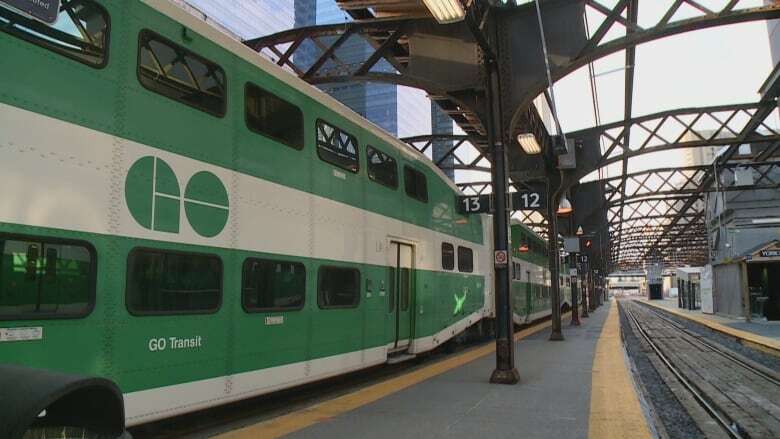 "A lot of the concerns the community has brought up, we've tried to address it through the design stage of the process," said Erin Moroz, a Metrolinx spokeswoman. The transit agency has mentioned reducing the bridge's length and wrapping it in reflective stainless steel to help accommodate locals by minimizing the impact of the overpass. Options for Davenport has said the changes are small gestures that are positive, but they would still like to see the province put a stop to the project to seek an alternative measure. Metrolinx said a tunnel option would cost $600 million, which is about three times more than the bridge. 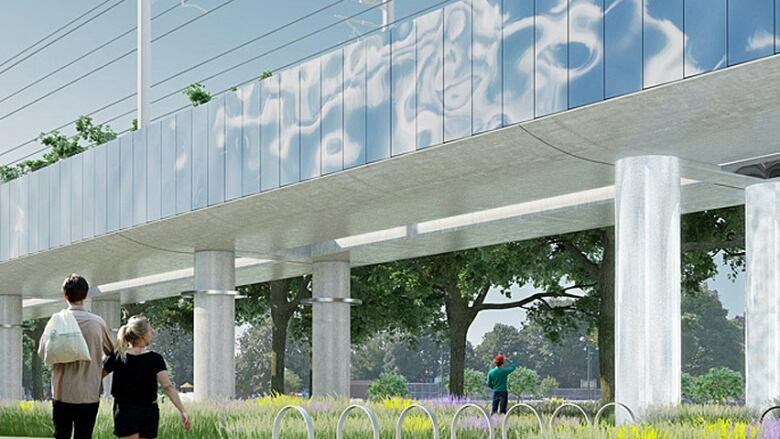 An environmental assessment of the bridge proposal is next for Metrolinx.